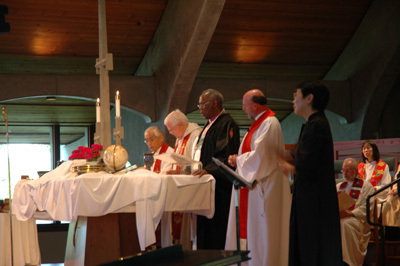 United Methodists share a common heritage with other Christians: conviction that God has mercy and love for all people; belief in a triune God: Father, Son, and Holy Spirit; faith in the mystery of salvation through Jesus Christ; celebration of the sacraments (Baptism and Holy Communion). Four guidelines which help us understand our faith are: Scripture, tradition, experience, and reason. United Methodists believe in the primacy of grace (God's unmerited love), human dignity, conversion, faith and good works, and tolerance. For us social consciousness has always gone hand in hand with faith. "We believe in God, Creator of the world; and in Jesus Christ the Redeemer of creation. We believe in the Holy Spirit, through whom we acknowledge God's gifts, and we repent of our sin in misusing these gifts to idolatrous ends. We affirm the natural world as God's handiwork and dedicate ourselves to its preservation, enhancement, and faithful use by humankind. We joyfully receive, for ourselves and others, the blessings of community, sexuality, marriage, and the family. We commit ourselves to the rights of men, women, children, youth, young adults, the aging, and people with disabilities; to improvement of the quality of life; and to the rights and dignity of racial, ethnic, and religious minorities. We believe in the right and duty of persons to work for the glory of God and the good of themselves and others, and in the protection of their welfare in so doing; in the rights to property as a trust from God, collective bargaining, and responsible consumption; and in the elimination of economic and social distress. We dedicate ourselves to peace throughout the world, to the rule of justice and law among nations, and to individual freedom for all people of the world. We believe in the present and final triumph of God's Word in human affairs, and gladly accept our commission to manifest the life of the gospel in the world. Amen. " As United Methodists, we have an obligation to bear a faithful Christian witness to Jesus Christ, the living reality at the center of the Church's life and witness. To fulfill this obligation, we reflect critically on our biblical and theological inheritance, striving to express faithfully the witness we make in our own time. The United Methodist Church is a "connectional church," which means our churches are connected by a system to guide our work and govern our policies. This also allows us to pool our resources so that we may more effectively work together and be in ministry throughout the world. Known informally as the cross and flame logo but formally known as the denomination's insignia, it has been in use for nearly three decades. It is seen in cities, towns, and rural areas at every point on the globe. The insignia is a cross linked with a dual flame. This symbol relates our church to God by way of the second and third persons of the Trinity: the Christ (cross) and the Holy Spirit (flame). Apart from Wesleyan Trinitarian theology and warmth, the flame has two other connotations. The flame suggests Pentecost when witnesses saw "tongues as of fire." And the duality of the flame was meant to represent the merger in 1968 of two denominations: The Methodist Church and the Evangelical United Brethren Church. 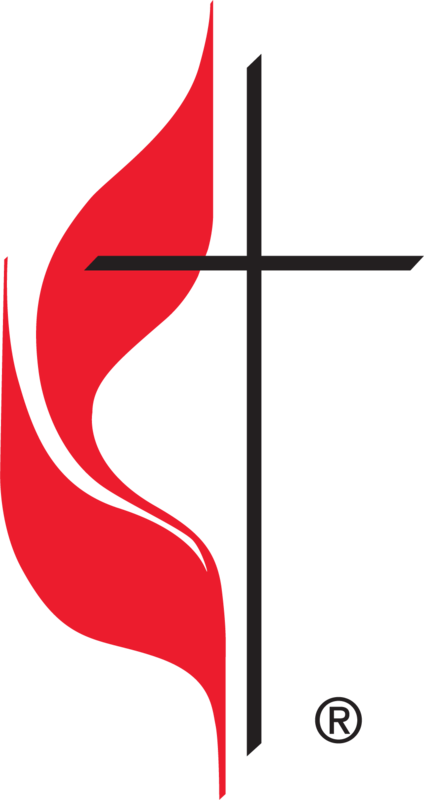 Want to learn more about the United Methodist Church?